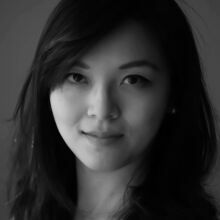 Jenny Chen is a neuroradiologist, entreprenuer, founder of 3DHEALS . Her main interests are medical education, healthcare 3D printing, and artificial intelligence. She is also a current adjunct clinical faculty at Stanford Healthcare Radiology department. 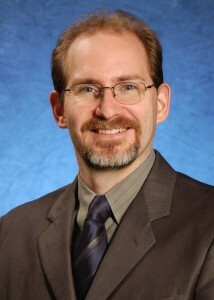 Erik Birkeneder is an intellectual property attorney at Nixon Peabody that focuses on health care related patents. Erik also serves as outside general counsel for a number of digital health companies and helps them navigate the unique privacy, and other regulatory hurdles that are facing this industry, including in 3D printing. 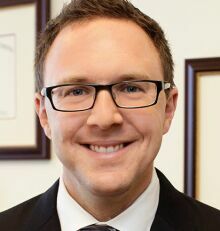 He has a Master’s in Biomedical Engineering from University of Wisconsin Madison where he performed research on the impact of neuropeptides on wound healing in diabetics, and has a law degree from University of Minnesota. Erik will be presenting on strategies for protecting innovations that are 3D printed, including the digital files with the 3D blueprints. His talk will cover the basics of how to protect your innovations with trademark, copyright, patent, trade secret and the differences between the types of intellectual property. Colleen Davies is a member of Reed Smith’s Life Sciences Health Industry Group, practicing in the area of product liability, life sciences and commercial litigation. She has served on Reed Smith’s Senior Management Team (as Global Chair of Litigation and as Global Head of Legal Personnel) as well as its Executive Committee. 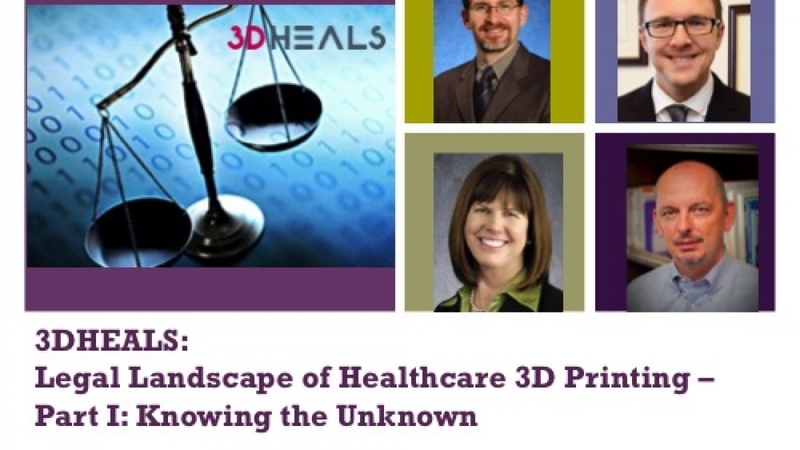 Colleen was the co-editor of Reed Smith’s white paper on 3D printing of medical devices and has also published elsewhere on 3D printing legal issues. While Colleen’s experience extends into various product manufacturing arenas, her specialty areas remain in pharmaceutical, medical device and consumer product liability defense. She also counsels product manufacturers on all phases of product development. Here, her work addresses manufacturing and marketing issues such as product warnings, design development, document retention policies, claims management, media relations and crisis management. Colleen’s litigation practice has been recognized by Chamber’s USA and International Who’s Who of Product Liability/Life Sciences. 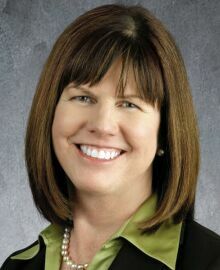 The Los Angeles and San Francisco Daily Journal named her as among the Top Women Litigators and the California Law Business featured her as one of California’s top women rainmakers. In 2010, the American Lawyer named Reed Smith as the Litigation Department of the Year for Product Liability. Colleen received her J.D. from Santa Clara University School of Law, and her B.A. from University of California, Davis. Stephen Thomas is currently the co-founder and COO of Identify3d, an early stage software start-up that develops solutions for Digital Manufacturing. Stephan has more than 25 years of experience in Consulting, Supply Chain, Transaction and Restructuring with companies such as EY, Alvarez & Marsal and REL Consultancy. Stephan was also the co-founder of a software financing start-up, where he drove fund-raising efforts and sales and marketing activities. He holds a M.B.A. from Baruch College’s Zicklin School of Business and a Master in management from Dauphine University (France). Stephan also lectures at the Berkeley-Columbia Executive M.B.A. on performance improvement topics. 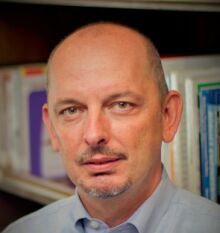 He is a board member of 3D4pro, a consulting company advising on Additive Manufacturing. Additive Manufacturing technology has the potential to seriously disrupt the Medical/Healthcare industry. The technology is ideal for personalized medicine and new product creation which will impact how healthcare is delivered. But these new benefits come with new challenges: from control of IP and personalized data to quality assurance, much is needed to ensure the integrity of the tools, products or processes developed using Additive Manufacturing. Scott Forbes, Esq., Ph.D., J.D., M.B.A.
Scott is currently the Director for Computer Science and Engineering, for IP Group Inc., an investment capital firm. Scott has worked closely with multinational corporations, universities, individual researchers, and government agencies to commercialize fundamental research and emerging technologies for over 20 years. He has invested in and developed applications for 3D printing technologies used in healthcare, advanced manufacturing, and software. Scott previously developed and executed the customer engagement, investment, and monetization strategies for Intellectual Ventures’ media, telecommunications, and enterprise data portfolios. Prior to that position, he was responsible for IP/technology licensing and the development of hardware and software security solutions for Cryptography Research, an early pioneer in applied cryptographic engineering. He has also held senior management and technical positions at Dolby, GE, and Microsoft. Scott is an inventor on over 20 patents and is a member of the IEEE, American Bar Association, and other professional organizations. He holds a Ph.D. in Telecommunications from Pennsylvania State University, a law degree from George Washington University, and an MBA from Indiana University.